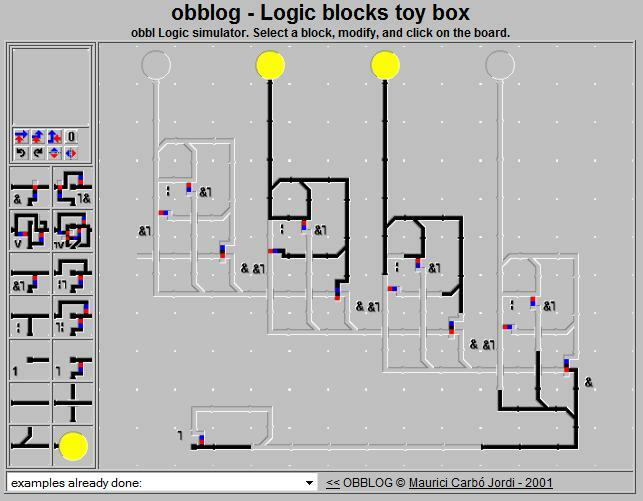 Binary counter (4 bits) built with obblog using 4 flip-flops. 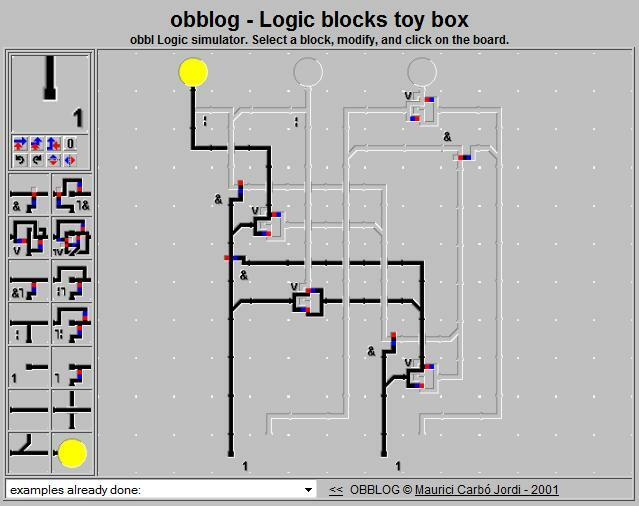 (from 0 to 15). 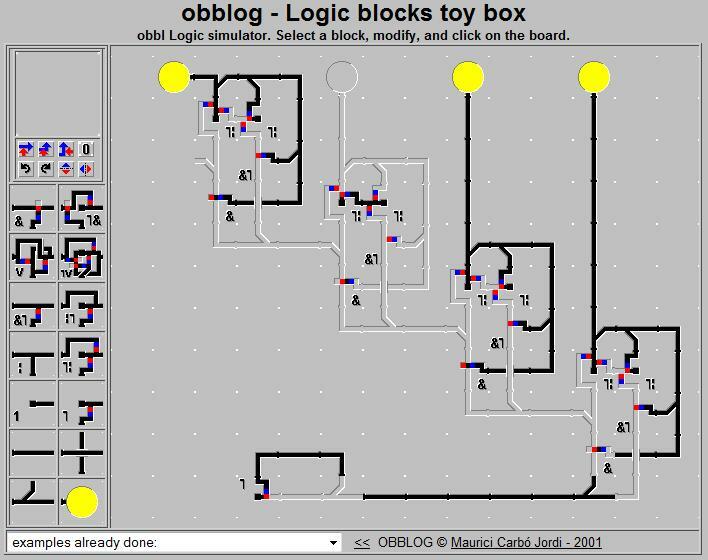 Using crossed NOR gates. 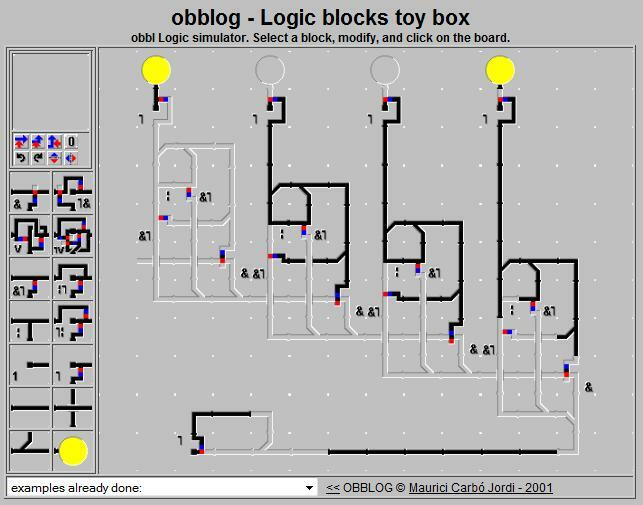 Binary calculator (2 bits) built with obblog.